Day 1, 3:30pm. Demolition done. In March we replaced Ed and Kate’s flooring. 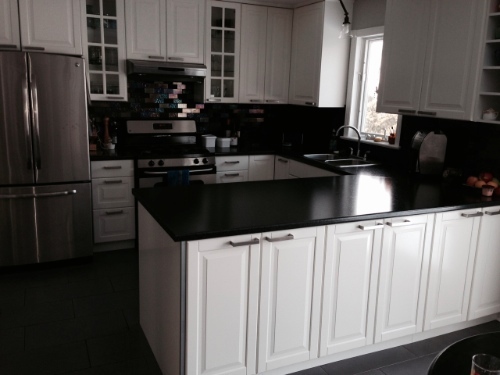 With the flooring looking so shiny and new, they decided to renovate their kitchen as well. 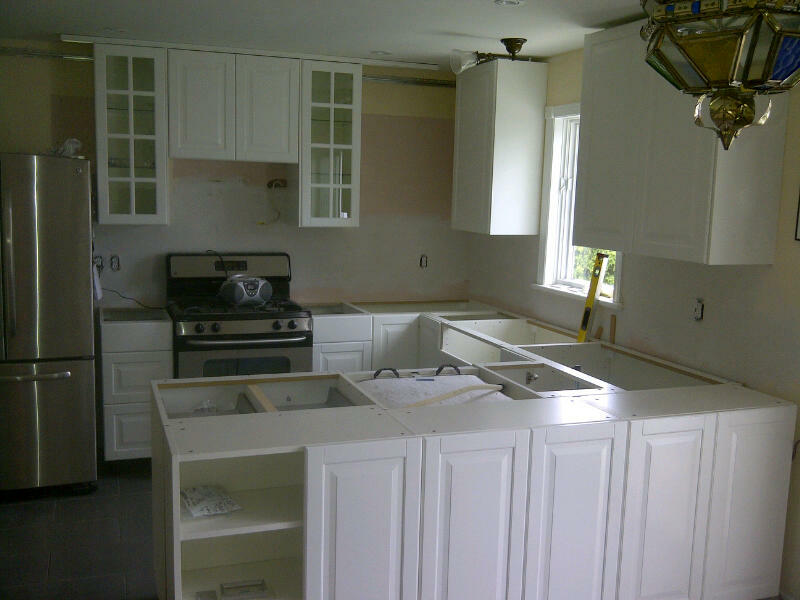 Day 4 and the the kitchen cupboards are going in. 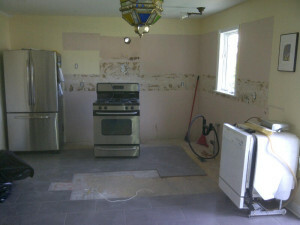 Day 4 and the the kitchen cupboards are going in. There’s a whole new row of cupboards facing the dining room, which gives them loads more storage and makes the counter space considerably wider. 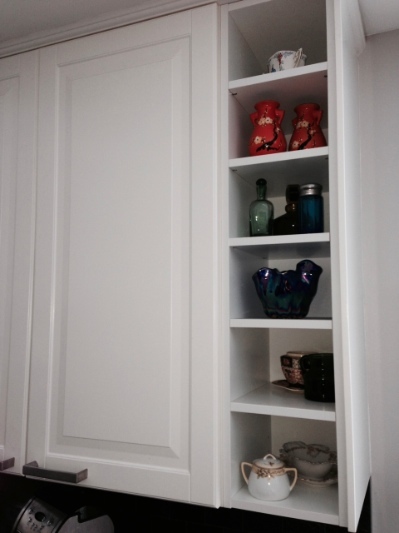 Day 7: the cupboard installation is nearly complete. Aren’t you digging their Moroccan-style light fixture? 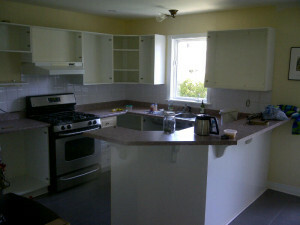 The kitchen renovation, from demolition to completion, took 7 working days. They’ve ordered backsplash tiles and we’ll be back when the tiles arrive. 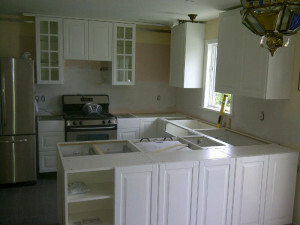 Once the new counters were installed, we came back to put up the backlash tiles. After: Ed and Kate chose fantastic backsplash tiles. 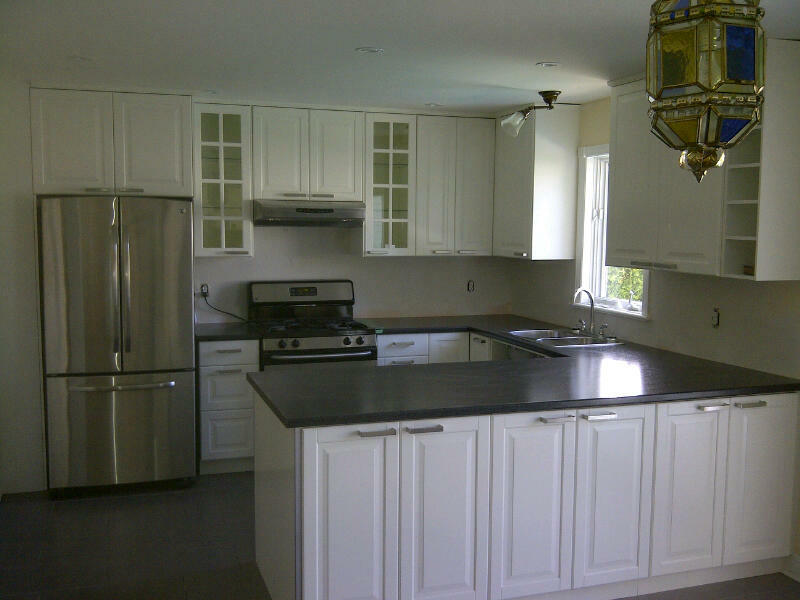 Paul and his team did such a great job replacing the flooring in our house, that it made the outdated and increasing crooked kitchen look out-of-date. Consulting with Paul, we realized that a new kitchen was within our budget, especially with some expert advice on design and materials. 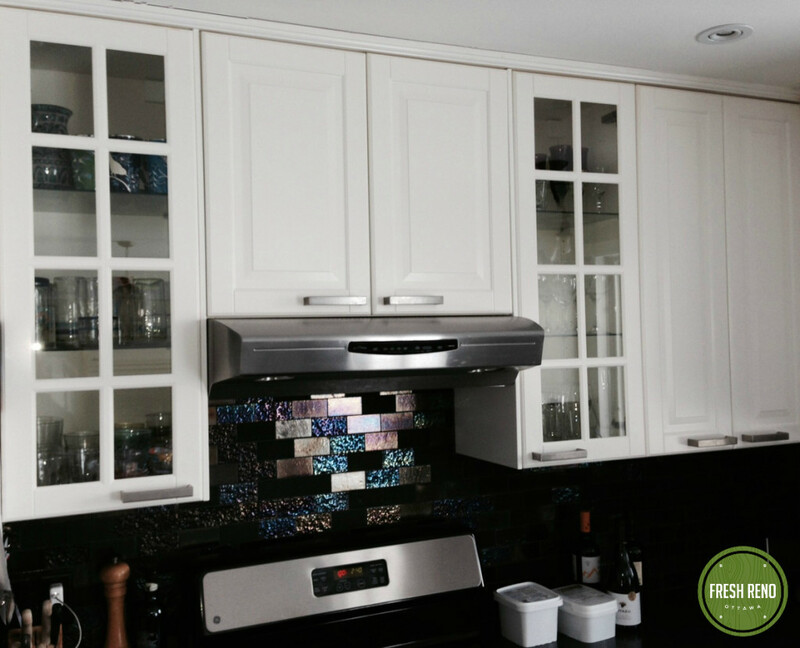 As with other projects, Paul always answered questions promptly, offered great advice, and when it came time to complete the kitchen did everything with an extreme attention to detail. The kitchen looks amazing, and is now the perfect family gathering spot in our house. Great work! I’d recommend Paul for any of your renovation needs, and have a few projects in mind for down the road where we’ll be happy to have him back in our house.